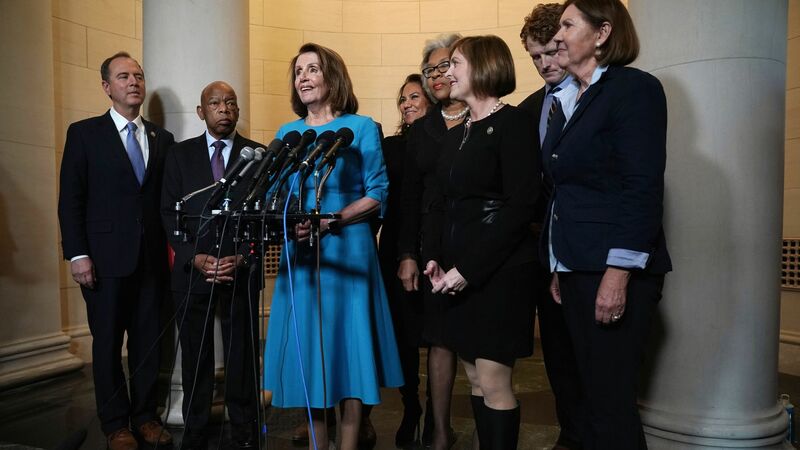 House Democratic leaders announced a political reform bill symbolically named "H.R. 1" on Friday as their first order of business upon assuming power early next year, targeting election financing, voting rights reforms and more. The big picture: The bill sets the tone for Democrats' priorities once they retake the House in the age of President Trump under presumptive Speaker Nancy Pelosi. It'll seek to expand voting access for Americans and grant more federal money to strengthen state election security. And, in a broadside to some of Trump's most controversial actions, the bill would create a Supreme Court code of ethics and require presidents to release their tax returns.